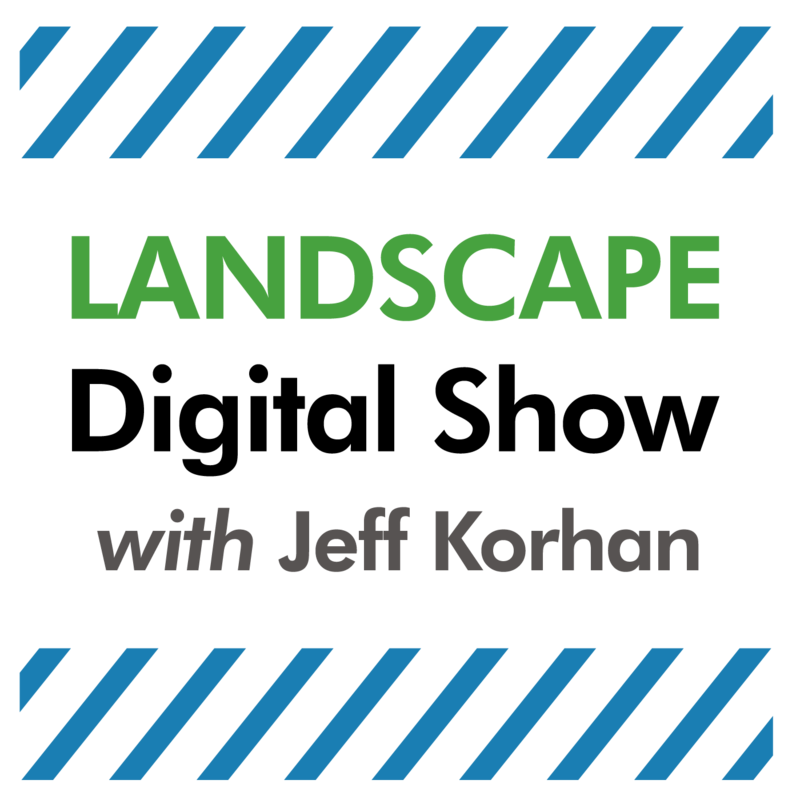 Episode 82 of Landscape Digital Show reveals how to do content marketing right by making it a standard business practice. If you are not hearing about content marketing, you should be. If you are, much of it is probably wrong because just like social media, it’s effective use is determined by one’s understanding of it. The difference between social media and content marketing is that content marketing is a practice, just as accounting is a practice. That is, there are conventions that dictate how it should be consistently practiced. Accounting happens to be a regulated business practice and that gets most businesses doing it right. This is not true with content marketing, and that is why people are free to use it as they wish. There’s nothing wrong with that, but it does get confusing when people represent what they are doing as content marketing when it isn’t because doing anything wrong compromises the expected results. 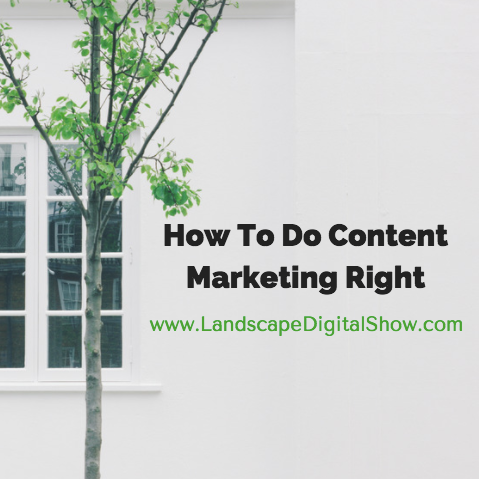 In this episode of Landscape Digital Show, we’ll fix that by showing you how content marketing really works, and how to do it right. You will discover that a better understanding of how it works will greatly improve your results while also streamlining your workflow and saving time. Most sporting events are games of strategy and tactics. And most of us get that and use it to get more wins. Why then do some people invest more time planning their weekend golf outing than the marketing that determines their business future? At least when it comes to content marketing, I believe it is because they do not know how it truly works. So, let’s start by defining content marketing. Here’s how the Content Marketing Institute currently puts it. If there is a phrase in that definition that should jump out at you it is this: Attract and retain a clearly defined audience. The attention of a clearly defined audience is everything because content is pointless without an audience to receive and consume it. It’s like the proverbial tree falling in the woods and whether or not it makes a sound if nobody is around to hear it. It doesn’t matter. On the other hand, if you understand your audience and consistently give them what they tune in for you will be heard. They will honor you with their attention. Now you can sell your products, rent that attention to sponsors, or do practically anything you wish that is appropriate for that audience. This is the magic of content marketing. Once you’ve earned the trust of an audience the possibilities are limitless. ESPN doesn’t broadcast the same football games as the national networks because to do that would be a dumb, me-too strategy. That’s what makes the games they do broadcast the best content for their fans – you can’t get that content anywhere else. By selectively serving segments of their audience, ESPN is the best content for a targeted audience on any given day. This is a key reason why you want to segment your audience too by tagging your subscribers’ interests with your CRM systems and marketing automation. What makes content marketing so interesting is that it combines aspects of sales and marketing to get results. That is, you can go big or small, depending on the audience and your business objectives. It’s your choice, but to make it happen you need a strategy that is carefully planned and implemented. Let’s take a step back to clarify what content really is because I’ve come to learn that many people think it’s exclusively social media and websites, when in fact it is far more than that. Content is media that can be consumed in many different formats, including text, audio, and visual, such as podcasts, videos, and images. And content does not have to be digital. It can include hardcover books, postcards, the wrapper or graphics on a truck or landscaping trailer, or a business card with a message scribbled on it. The only rule is that the content should be created with the audience of potential buyers in mind. That’s the starting point. You have to define “them” in detail or you will fail to attract them. What services do they need and why? What problems does your business solve for them? Why should they choose your business over another? And my favorite, what makes you the ONLY choice? The answers to these questions will give you your strategy, but more important is they will create clarity for the content and the products or services that your business should focus on creating. When you get to where content and product solutions start to become one and the same, at least in your mind, you are on the right track because they are. Content is usually free, although it can command a price if it’s really good. And that makes it a product. This is why you can and should think of content adding value to your products. If content helps the buyer to get more value from a product it adds value to it, plain and simple. This is your reality check. If your plan is not written down you do not have a plan. And that’s why most people fail with content marketing and social media because to write it out you have to understand it. How are going to create content while taking care of day-to-day, revenue-producing activities? Start by identifying and listing the content that is working for you now to attract, engage, and close customers. Now repurpose that content to other channels to extend it or make it more powerful. One of the secrets of content marketing is not “putting all of your eggs in one basket.” When you update your website you should also be updating your social media profiles to be consistent with it. Make a list of all of your online profiles so that it’s easy to update them when you have moments of inspiration that can make your content better for its targeted audience. And content repurposing applies equally to all of your content. For example, if you do a printed postcard campaign you should considering also budgeting for Facebook ads to support it. And if you have a pop-up box on your website that too can be temporarily adjusted to match the campaign. The idea is that everything should be integrated to achieve the desired result that is bigger than just attracting leads. While leads are the lifeblood of every business, content will convert only a fraction of them into revenue. This is why most companies give up on content marketing. The truth is that fraction is enough if you are in this for the long haul because unlike traditional advertising content marketing is cumulative. Content marketing is a long game, but it can be broken down into repeatable actions that can be simplified and automated. You just have to make it a practice. Are you ready to get serious about content marketing? Excellent. 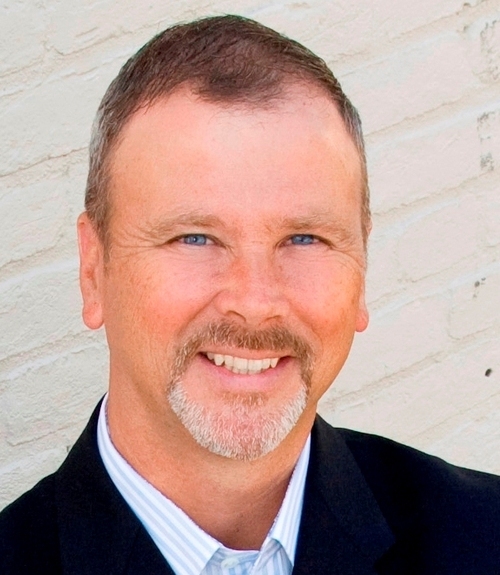 If you are a green industry professional in the United States or Canada, I’m offering a limited number of free 15-minute telephone consultations. You can use this link to schedule that call.